Visit NEXT BLOCK Conference in Sofia! Learn about the evolution of money! Visit NEXT BLOCK Conference in Sofia! Remember this gorgeous event of NEXT BLOCK Conference, that was hosted in Kyiv this May? This dedicated to the blockchain technology, cryptocurrencies, and ICO event gathered more than 500 guests and held an epic Official FashionTV FTV Coin Deluxe Party! 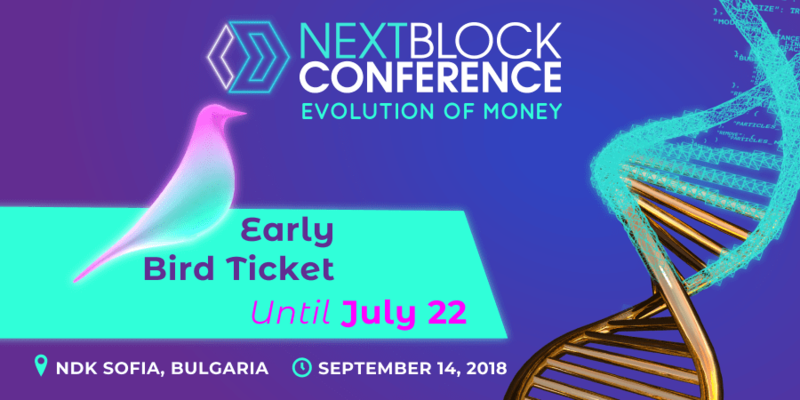 Now we invite you to visit NEXT BLOCK Conference in Sofia! For the first time, Bulgaria will host this International Crypto Conference and Luxurious Party with Sterlin Lujan, Communications Ambassador for Bitcoin.com, as a keynote speaker! On September 14, Sofia, Bulgaria will host NEXT BLOCK Conference ‘Evolution Of Money‘ organized by Krypton Events, in partnership with Cryptovest. From the previous event, you should already know that NEXT BLOCK is one of the leading blockchain conferences in Eastern Europe, bringing together top technology executives, top-tier investors, promising blockchain ventures and industry visionaries from around the world for business and networking. Why visit NEXT BLOCK Sofia? NEXT BLOCK Sofia will bring together over 350+ participants and 20+ distinguished speakers. Moreover, the conference will be concluded by a luxurious After-Party, the most fabulous crypto-party of 2018 in the Balkans! – Sterlin Lujan, Communications Ambassador for Bitcoin.com, a premier source for everything Bitcoin related. Sterlin is one of the most famous crypto journalists, editors, and speakers. Sterlin is a well-known anarchist and essayist involved with cryptocurrency and Bitcoin since 2012. Pascal Forster, Board Member, Crypto Finance AG. Find more speakers at next-block.org! The conference will also feature an expo with blockchain ventures and an ICO Quick-fire Pitch Session, where each partaker will get 5 minutes to earn the investor’s trust! The highlight of the event is the most EXCLUSIVE and STYLISH After-Party in the Balkans which you cannot miss! You have 10 days from now to purchase your Early Bird Ticket! To find out more, buy a ticket, become a sponsor or media partner please visit the official event site.